Don’t forget to plan your marriage while planning your wedding. Couples who attend premarital counseling classes have a significantly higher chance of lasting marriages than couples who do not. Being able to take some time to focus on your marriage while planning your wedding is a vital practice for engaged couples. 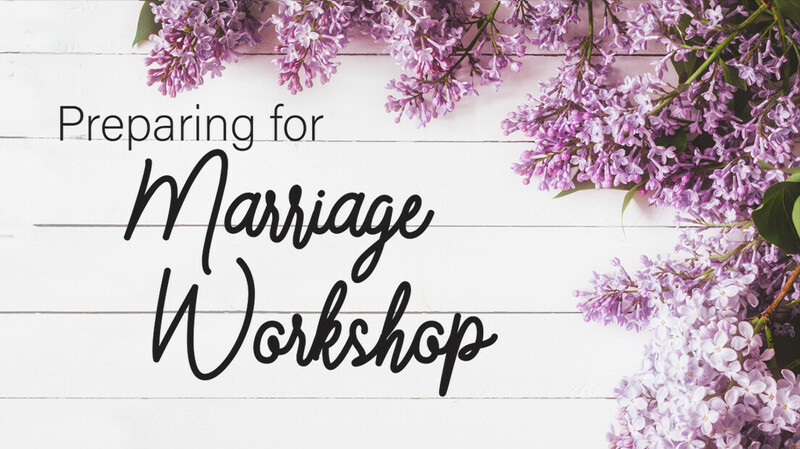 Our remodeled Preparing for Marriage Workshop is an all day event that focuses on priorities and topics to allow crucial conversations between you and your significant other. Topics covered include: finances, conflict resolution, roles, needs, expectations, and why we do marriage. Our day stars at 9:00 am and will wrap up at 5:30 pm. Lunch is provided as well as some refreshments. This course is registered with the Twogether in Texas initiative and will provide a discount on your marriage license once completed.